Paste magazine recently completed a bike test where they tested five bikes in 10 days. The test looked at a number of designs from fixed gear to fat tire bikes and, out of the bikes tested, Raleigh's Redux 2 was chosen as the best bike for everyday riding. The Redux was primarily chosen for the stability it offered on gravel roads, but was also was recognized for the durable frame and hydraulic disc brakes, which made it easy to stop without the fear of losing control. 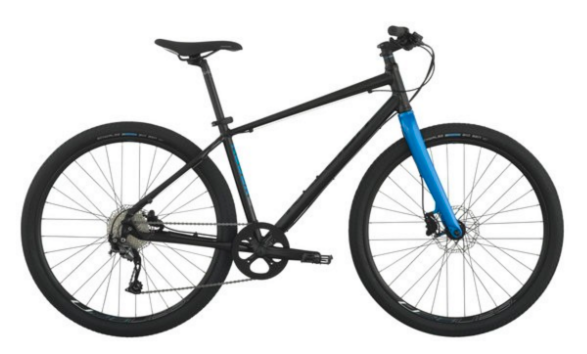 Editor's Quote: "The Raleigh Redux 2 gets the nod as the best bike for everyday riding. I liked how rugged it is and the hydraulic brakes make it easy to stop suddenly without fear of any slippage." To view the full post, click here. To view the Redux 2, click here.